Plus Size Kitten: Free Loccitane Peony Gift from Female & EH! Magazine July! 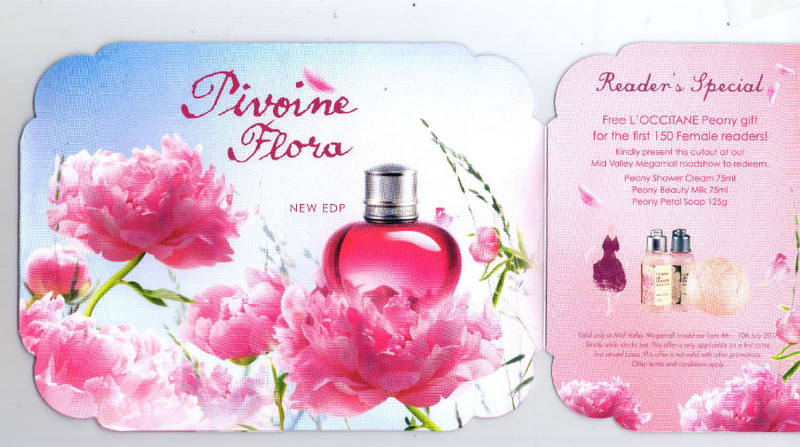 Free Loccitane Peony Gift from Female & EH! Magazine July! Hey anyone see this yet? I just got mine from Loccitane's Peony Roadshow (just outside MPH Mid Valley) where Watson's is located. In conjunction with July's promotion which focuses on Peony, Loccitane and Female as well as EH! 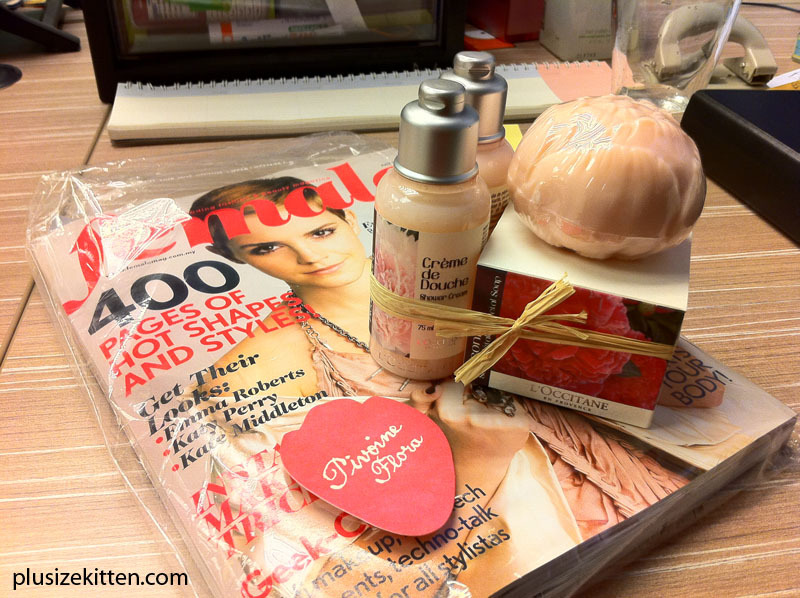 Magazine is rewarding their customers with a Peony Gift Set free! All you need to do is buy Female/EH! Magazine July issue, get the card (there's a Loccitane Peony card in there with a redemption clause) head to the roadshow (a stall set up outside) and redeem for your Peony Gift set! The Peony Gift set comprises of a cute flower soap 125g, a travel size 75g body shower and 75g body lotion pack! Hurry! it's only for the first 150 readers at Mid Valley starting today! i saw the card but too far to go and redeem.. by the time i get there, it'll all be gone.. lol! alaaa....sana je ke dapat? uhuhuhh..sabah? ooh ur so lucky! it's probably all redeemed by now. Exciting giveaway! i dint get the soap pun??? >.<"
Aimee: T_T sorry babe... hope JB also will have this kinda giveaways soon! e-cniret: huh? what do u mean! wat u get? Can't be bothered to go all the way for that. Oh well.